Whey Isolate is the most advanced protein in the Stacker2 Europe product range. A protein percentage of at least 90%, the best flavour on the market and maximum (complete) solubility make Whey Isolate the best choice that you can make as a top athlete. 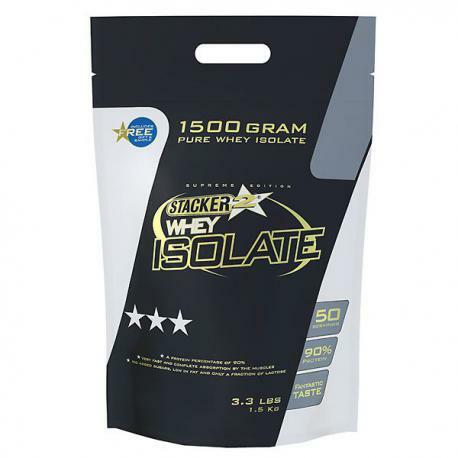 - Contains 100% pure whey protein isolate. 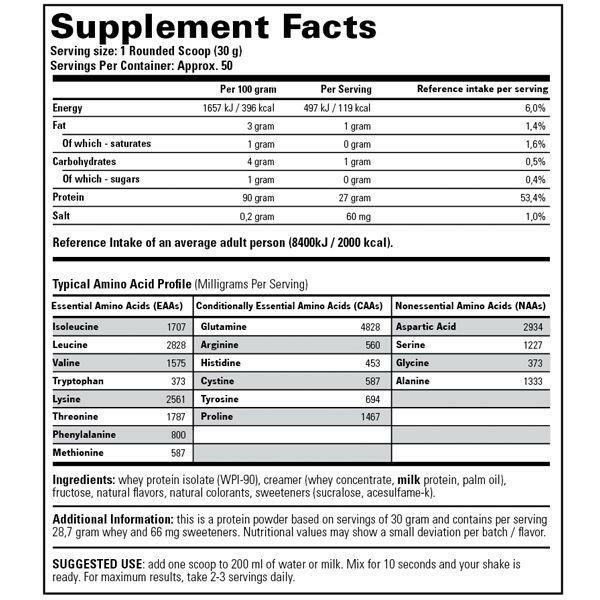 - Rich in BCAAs (Branched Chain Amino Acids) (6 grams per serving). - Very fast and complete absorption by the muscles. - No added sugars, low in fat and only a fraction of lactose. - Fully soluble (no lumps, no foam). Mix or shake 1 scoops with 200ml water. Consume maximum 2-3 shakes per day.